ctemp-LCD Temperature Data Logger - Marathon Products, Inc.
Real-Time LCD Display for Instant Acceptance or Quarantine Decisions of your perishable shipments. 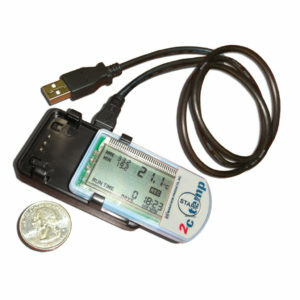 The c\temp-LCD is the revolutionary, single-use, pre-programmed, electronic temperature data recorder specifically designed for measuring temperatures during the transportation of refrigerated vaccines, biological material, chemicals, pharmaceuticals, and for documenting the transportation of perishable commodities. 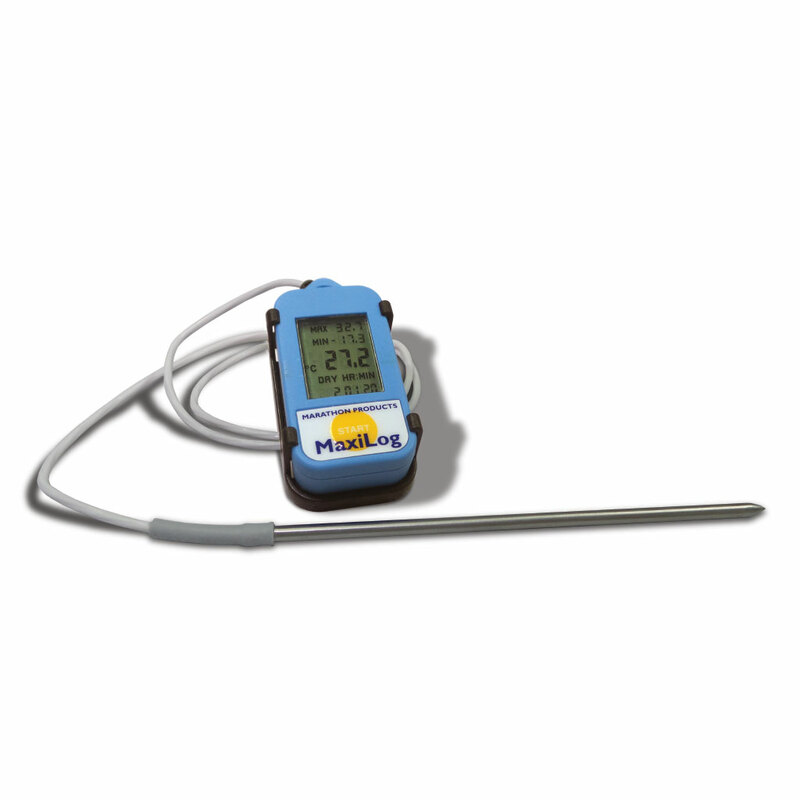 The 2c\temp-LCD is NIST-Traceable and comes with a Certificate of Calibration and Traceability. 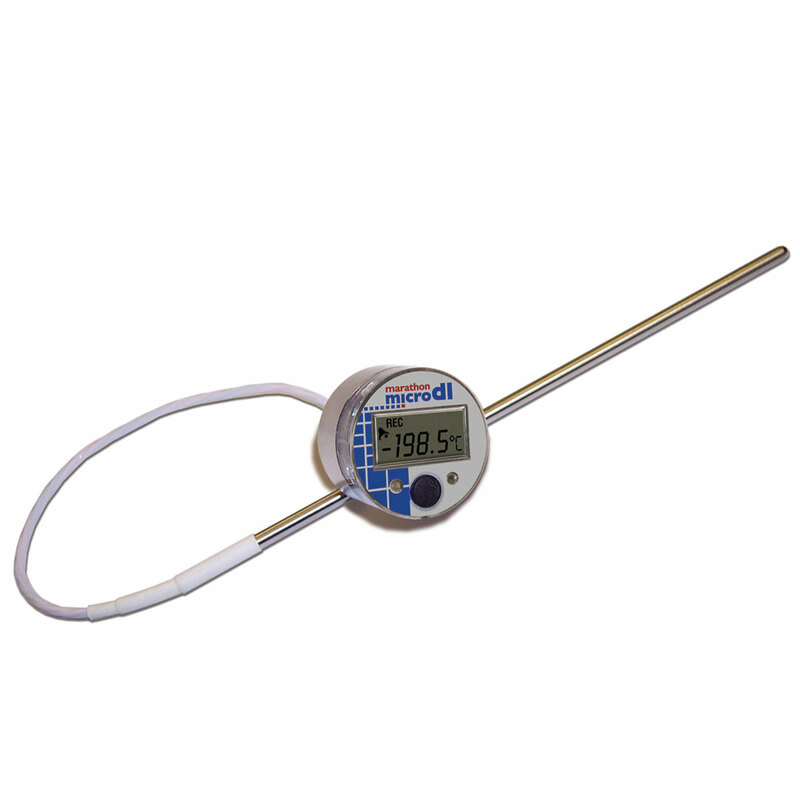 Internal Thermistor: accurately records temperatures for pre-programmed readings in Celsius or Fahrenheit. LCD display: Shows Current Temperature, Max Temperature, Minimum Temperature, Run Time, Alarm Status, and Recording. Small Form Factor: The thumb-sized c\temp-LCD fits easily into small spaces. The LCD screen shows temperatures in real time, providing instant TOA (Time Over Alarm) notification. 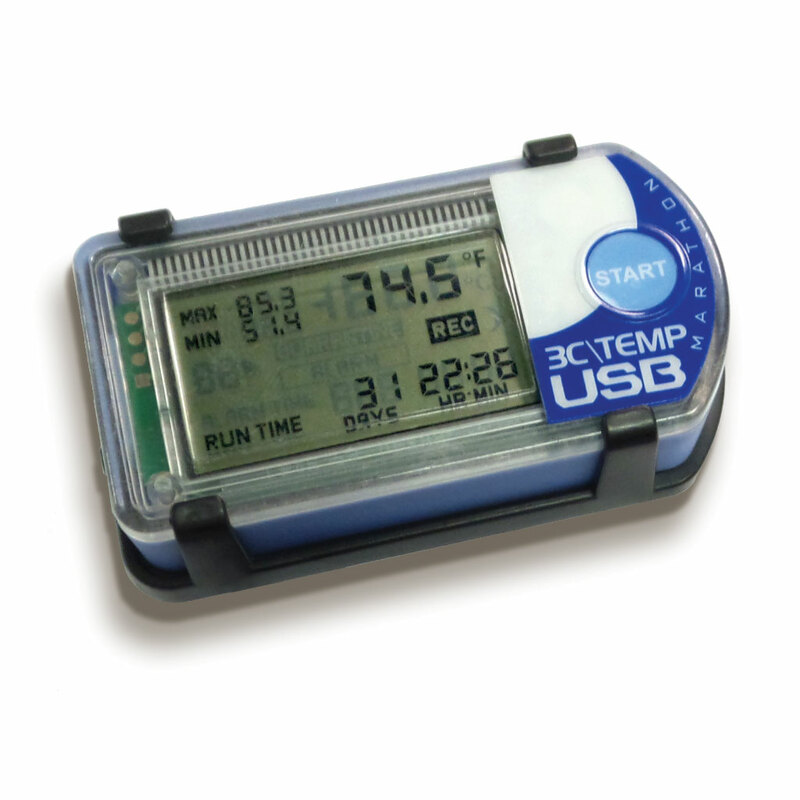 c\temp-LCD has an extended battery life and can endure rough handling. The internal software records the following: start time, sampling intervals, alarm values, recording status, measurement data, software version, serial number, and model type. Computer Ready: Marathon’s easy-to-use MaxiThermal software is available for Microsoft Windows XP, 7, 8, & 10. 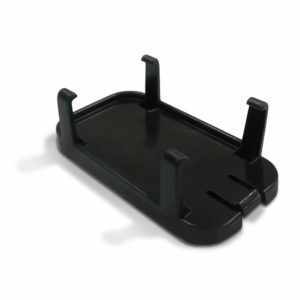 To download recorded information, simply plug the optional USB Cradle/Reader Station into a standard USB port on your PC. The Maxi-Thermal software and Reader Station are available separately. 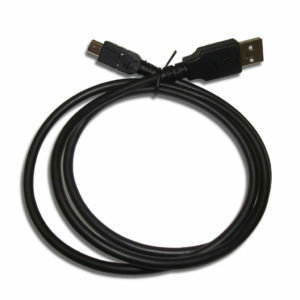 Note: a minimum order consists of 20 units; product shipment is approximately three days after receipt of order. Logger Category, Description Category 1. Single Use. 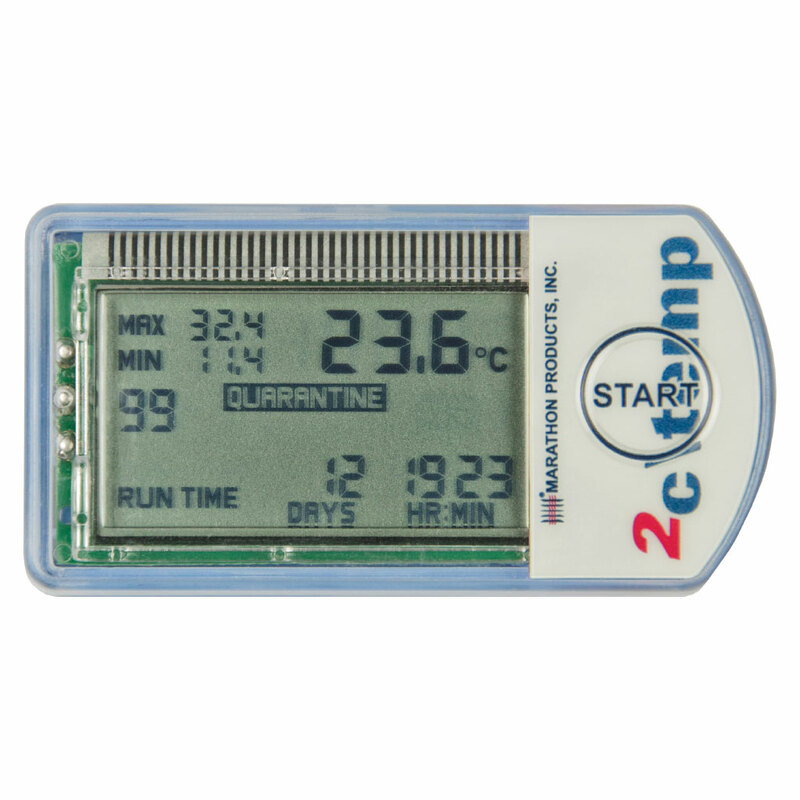 Normal temperature data logger with an LCD for instant acceptance or quarantine decisions in a very compact size. 57.7 grams / 2.0 oz. Power Source, Battery Life and Replacement One 3.0 Volt Lithium coin cell battery with a 2 year shelf life. We recommend replacing the battery after 12 months of use. See Battery Performance page for more information. Small-format Reader Station. Cable sold separately.